Showing results for tags 'intro'. Which Kingdom Hearts game has the best intro world? Month 2 of summer begins. The royale continues. Whose summer vacation will end first? My name is Barry Allen and I am Ze Flasher! I run around my city at speeds faster than any speeding bullet. To show my naked body to as many people as possible. Young and old. So the future generation can live one day truly free. Without any restriction and even clothes. Once again my name is Barry Allen and I am Ze Flasher! Got it memorized? Thoughts Comments. Did it make anyone laugh? I just thought this up. I was reminiscing about last year's E3 trailer and was thinking about interesting topics to talk about ( I did consider a post about the different geographical areas of the game- yet I don't think many would care about a post about mountains; rivers and fields etc) and decided to argue my case on why we should play as Young Xehanort in the introduction; from a plot perspective and necessity. Starting with the most important and obvious reason: 1) we actually don't know a lot about his backstory- we know he got off the Islands ( somehow), we know he becomes a keyblade wielder ( somehow), we know he is trained by a master who loves the story about the lost masters ( cough foretellers) ( also someone). Yet whilst we know about Old Man Xehanort and his current ambitions. 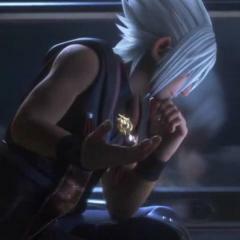 We do not know: how Xehanort became a keyblade wielders; how he later obtains the keyblade we are accustomed to him wearing; how and why he became obsessed with the keyblade war ( by this I mean was it his master's charisma/Xehanort being power hungry/Altruistic intentions etc); what worlds he attended to in his youth; the list actually goes on. Whilst we could learn this from playing as Eraqus; I'd argue playing as Xehanort will allow us to explore the character on a much needed personal level. If we fully understand the character then we can either have more intentions to defeat him or feel for him when he is defeated. 2) playing as the ' good guy's' is getting dull- yes; I know we will take control of Sora who is undoubtedly a hero; but I mean for a change; albeit a small one . It would be fun to play as a bad guy for once; who knows we might even be able to dab into darker areas from a gameplay perspective too? 3) gives us a valid reason to return to Dive To The Heart- I'd be willing to wager this section of the game returns; I mean it enables us to choose between the Sword/Shield/Staff ( always the shield) which determines the abilities we gain through levelling up; however Sora; Roxas and Ven have been there and yes I'm aware there are multiple other characters who could go there; enabling the player to essentially choose Young Xehanort's path is way too tempting. Not only does it allow us a legit reason to return: but also helps us connect to Xehanort too. If we choose his path; then technically we have set the course for what will eventually play in the KH games thus far; which I feel would be a neat touch. 4) playing as young Eraqus wouldn't answer all the questions- this links to my first point; yes it would be cool to play as Eraqus; however we'd still be none the wiser to a lot of answers; which wouldn't help the plot. Therefore I'd have nothing against having cutscenes exclusive to Eraqus; but I feel as mentioned above; playing as Young Xehanort would be excellent to providing needed answers. 5) the chess scene is the start of the game- I'm anticipating the response that people will want either exclusive Sora Intro/ Kairi in training etc. However we know for a fact this is the start: so it wouldn't make sense to show this then have someone else such as Kairi playable in the intro. I fully support the concept for having the Intro during this timeline rather than currently as I feel we'll gain more out of it story wise. Also how random would it be to have inevitable sentences which only Nomura fully understands; a funky song followed by the chess scene then bam here's Kairi to play as. I know I for one would be seriously puzzled. So; that's a few reasons. 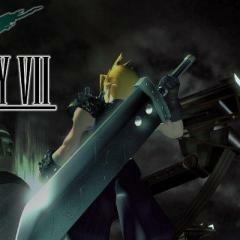 For me the perfect Intro would be the inevitable sentences which make no sense; a funky song followed by the chess scene; then allowing us to fully explore the secrets and backstory of our main antagonist; perhaps even swaying a few people to his side?, neatly setting the scene for the game; before switching back to the Mysterious Tower and cue the game as Sora. 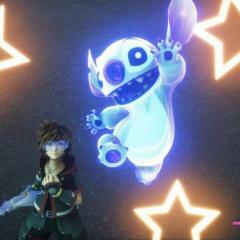 When do you think we will hear Kingdom Hearts III's new opening song? Hey guys please check out my first intro for my channel its the first video I edited on Sony Vegas so please bare with me. And also please subscribe to my channel if you haven't done so already. KH3D A Little Detail I Noticed in DDD Intro. NIce to meet you guys and I'm happy to say hi. I'm probably not going to be very frequent on here, though. Hi. My name is Daniel, I live in Norway, been here for quite some time, but not a member until now. Came here to find inspiration for my tattoo planning.